Click here to view the 2019 USTA NC junior tournament schedule. Click here to view the 2019 USTA NC adult tournament schedule. Participation in USTA Sanctioned junior tournaments requires USTA membership. For information on USTA membership and benefits click here. The USTA is currently offering a free first year membership for all children ages 10 and under. Click here for more information. If this is your first time playing in a tournament, click here for details on how to get started. This document contains important information for all first time players, including how to sign up and prepare for your matches, and how it all works! Charlotte Play Days participants, Junior Team Tennis participants and high school players entering a tournament for the first time are eligible to receive a voucher towards FREE entry into a USTA NC Level 5 event. Click here for more information and to submit a voucher request. The CTA appreciates support from volunteers in the community to assist in hosting our successful tournaments. Volunteers are needed to work in a variety of capacities for each event. 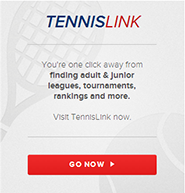 Click here to indicate your interest in supporting CTA tournament operations.